For all of those who love Hello Kitty, the famous character created by the japanese company Sanrio, arrive in a great videogame for Nintendo DS. Hello Kitty is, as said, the most famous product of Sanrio. She is a cat with a red bow on her left ear (sometimes the bow is replaced by a flower), she has no mouth (the sketcher Yuko Yamaguchi said in 2008 that Kitty is without mouth in order to allow people to give her their own moods: Kitty seems happy when people is, seems sad when people is and so on). Created for the first time in 1974, Hello Kitty is now one of the biggest brand in the world, which generates an annual turnover of $ 1 billion through a variety of merchandise, such as tickets cards, jewelry, toaster, bicycles, guitars and video games. 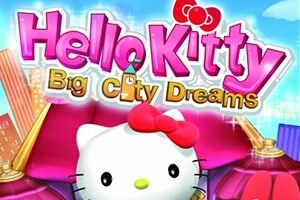 Hello Kitty Big City Dreams is an exciting mini game for Nintendo DS console. In the game Kitty leaves her home in Sanrio Town to move to The Big City. Here our heroine finds a new apartment at the ground floor of a building. Her dreams is to be able, one day, to transfer to the top floor, where an amazing and luxurious penthouse is. Our goal as player is to help Kitty to explore her home and the new city where she lives in to know people and to find out new friends. Copyright © 2019 Hello Kitty Big City. Proudly powered by WordPress. Chooko design by Iceable Themes.